Sometimes, being a hero just runs in the family. At least that’s true for Penn Zero (Thomas Middleditch), whose parents Vonnie (Lea Thompson) and Brock (Gary Cole) were part-time superheroes. However, when the evil Rippen (Alfred Molina), a part-time villain, trapped Penn’s parents in the Most Dangerous World Imaginable. It fell on Penn to take up the family business and travel to alternate dimensions, assume the role of the hero in that world, and save it from the threat of Rippen and his part-time minion and Penn’s principal, Larry (Larry Wilmore), and Phil (Sam Levine), his Slavic assistant who operated his interdimensional portal. Aiding Penn was his friends Boone Wiseman (Adam DeVine), a part-time wise man, Sashi Kobayashi (Tania Gunadi), a part-time sidekick and eventually Penn’s girlfriend, and Phyllis (also Levine), the grumpy Slavic woman who operated the portal that sent Penn and his friends to other worlds. The late Adam West portrayed recurring character Captain Super Captain, an electrician from a world where everyone has superpowers, in one of his final roles. 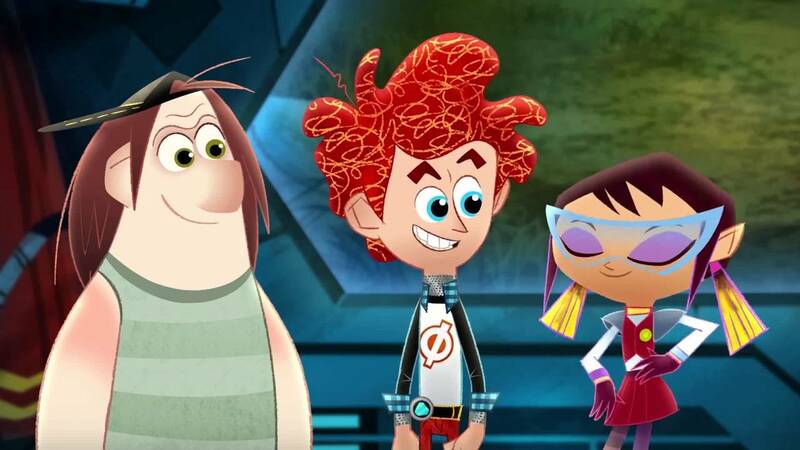 Created by Levine and Jared Bush, the series premiered on Disney XD on December 5, 2014 as a preview before officially beginning that February. The series ran for a total of two seasons and 35 total episodes, ending in an hour-long finale. Before and after the show’s run, it began making the rounds on Disney XD’s international counterparts while also rerunning in the United States on Saturday mornings.